Government websites, career and executive coaches and many articles unanimously recommend that job seekers build their networks throughout their life and career. One suggestion is to attend different networking events. I hear many job seekers complain that this is not productive, too difficult or time consuming. The real reasons, however, are often lack of confidence, embarrassment about asking for help and not knowing how networking really works. Facing a room full of strangers can feel awkward, like going to a school dance. You scan the room looking for anyone you know, feeling flustered about what to say? Now consider how much more so for the unpracticed networker. ​ The brief FORBES article “The Best Questions to Ask at Networking Events” explains what works, such as start by asking questions, really listening to the answers and finding a connection. 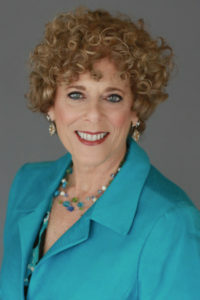 Then, as my colleague Nancy Fox, says, “the fortune is in the follow-up.”​ (She offers even more ice-breaker questions at www.thebusinessfox.com). Using an organized follow-up process will build trusted relationships that grows your network. That job interview or new client can come after numerous intro’s starting from that first connection. 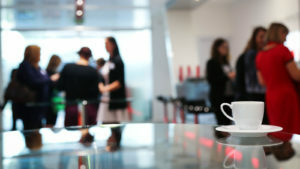 Email and social media are clearly part of a good networking strategy, but the most memorable connection is in-person meetings: coffee, a meal, events or networking events. I am considered a “natural” networker – it is immensely satisfying bringing good people together for mutual benefit. For me, however, effective networking has been a learned skill that takes practice and repetition. The most rewarding networking has been those in-person meetings. During the summer we share many outdoor and social activities, both with people we know and those we will get to know. Perfect for networking for future business or employment. Why not try a few questions when you meet someone new this summer? I invite you to share this with your client or a new associate who is building business development skills.